On the employment front, competition is getting fierce. Are you ready to compete in the job market? How will you rate against the competition? Learn how you can gain the competitive edge and land your dream job. “Use LinkedIn 2 Get Noticed“: Access to our online, multimedia course for 30 days. Go at your own pace as these lessons take you step by step through updating your LinkedIn profile through using LinkedIn groups effectively. $19.99. 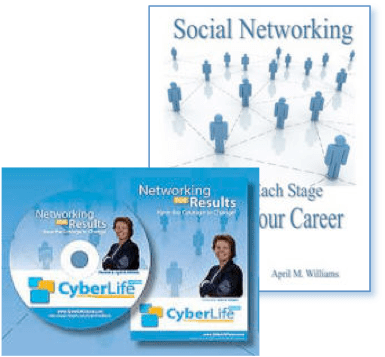 You get the best advice for using LinkedIn, Facebook, Twitter, You Tube and blogs for your career. See how these tools get you noticed by the right people. See how you can differentiate yourself from others in your industry. Get all 3 for one low price. You get the hands on book, the live presentation on DVD and the step by step ecourse all for one low cost of $24.95. Click here to order and pay securely using PayPal.